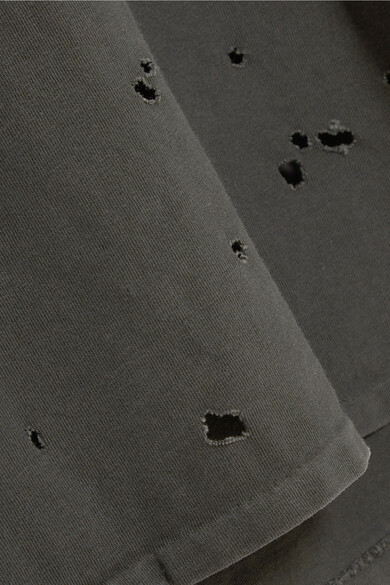 Chris Leba's R13 collections are inspired by '90s grunge and the bands he grew up listening to - he often features iconic tours and albums on his pieces to pay tribute. 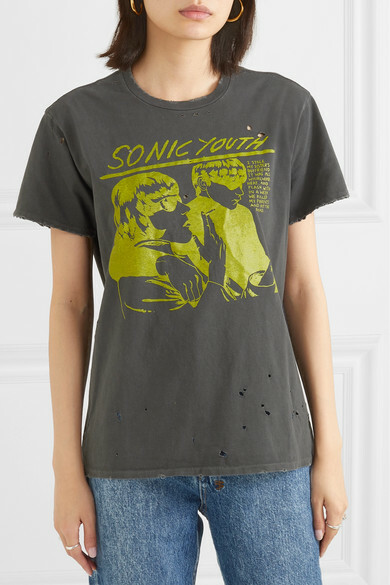 Cut from faded black cotton-jersey to look vintage, this T-shirt is printed with Sonic Youth's 'Goo' artwork and finished with distressed details. 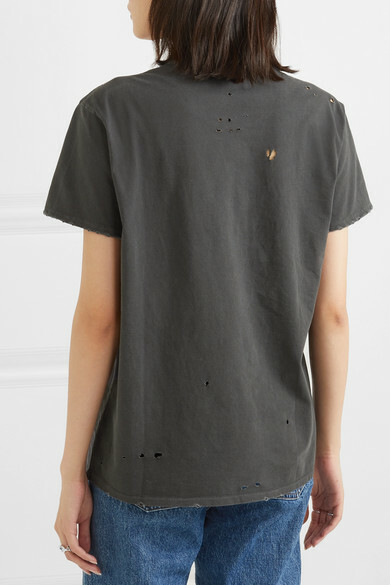 Wear it with jeans or layered underneath a slip dress. 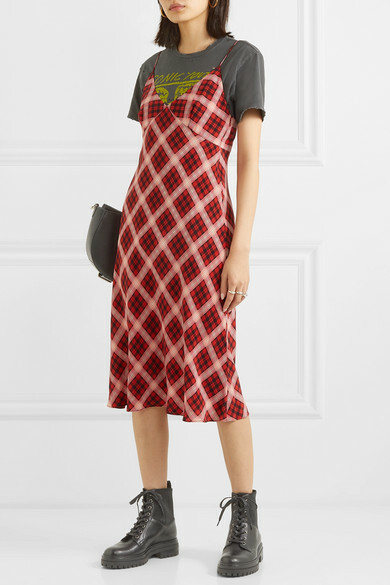 Shown here with: Marc Jacobs Dress, JW Anderson Shoulder bag, Gianvito Rossi Ankle boots, Sophie Buhai Rings, Jennifer Fisher Ring, Kenneth Jay Lane Earrings.